Kikkerland Design’s toy propeller-equipped boat motor. The company has partnered with Dutch designers Chris Koens and Ramon Middelkoop on a line of nature-inspired toys they call Huckleberry. Kikkerland Design’s shatterproof magnifier. The company has partnered with Dutch designers Chris Koens and Ramon Middelkoop on a line of nature-inspired toys they call Huckleberry. 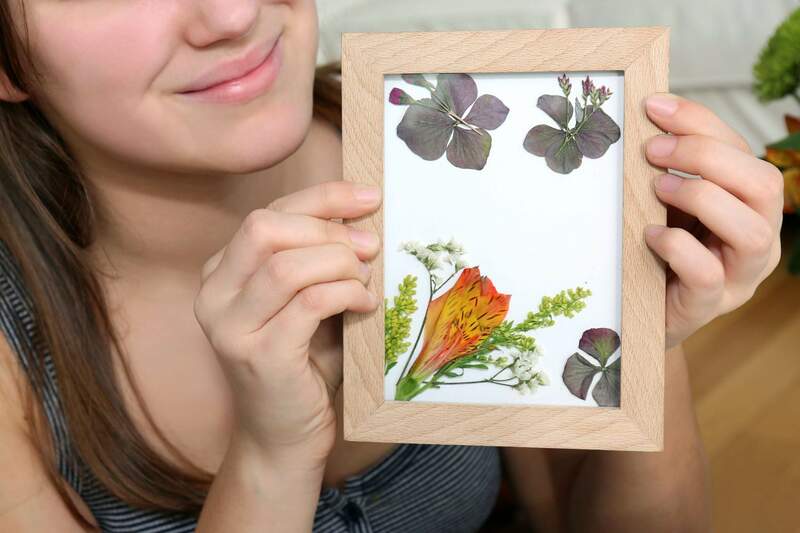 Kikkerland Design’s flower press frame. The company has partnered with Dutch designers Chris Koens and Ramon Middelkoop on a line of nature-inspired toys they call Huckleberry. NEW YORK – The world is full of high-tech children’s toys. But there’s a movement afoot to bring back some simpler playthings – ones that invite kids to explore the outdoors and tap into their ingenuity, creativity and sense of play in ways that don’t involve an app or a download. Design company Kikkerland has partnered with Dutch designers Chris Koens and Ramon Middelkoop on a line of nature-inspired toys they call Huckleberry. There’s a shatterproof magnifier, a flower press frame, braided leather with a magnetic closure for making a flower necklace, a fishing kit, and the duo’s favorite item, a little propeller-equipped boat motor that runs on a AAA battery. Why is it their favorite? Koens says the simplicity of each piece was important, keeping the designs fairly “open” in concept. A portion of Huckleberry sales goes to the Children and Nature Network, a Minneapolis-based national nonprofit that invests in community-based efforts to encourage kids to be outdoors and get reacquainted with nature. The organization has worked on providing more green space in schoolyards, and training youth leaders as the next generation of environmental stewards and outdoor enthusiasts. If you’re looking for other gear and toys that’ll encourage your kids to explore the natural world, there are many cool options. Magic Cabin has a whimsical runner bean growing kit for the young Jack in the Beanstalk fan. There’s a castle, twine, pole, growth chart, Scarlet Runner beans, a cute version of the fairytale that recasts the giant as Jack’s helpful mentor, and six stakes for the beans to climb. The stakes are shaped like a goose, cow, castle and story characters. All you’ll need is a bit of ground or a planter pot. Also at Magic Cabin is a set of 12 or 18 soft, flexible, colorful silicone connectors called Stick-lets. 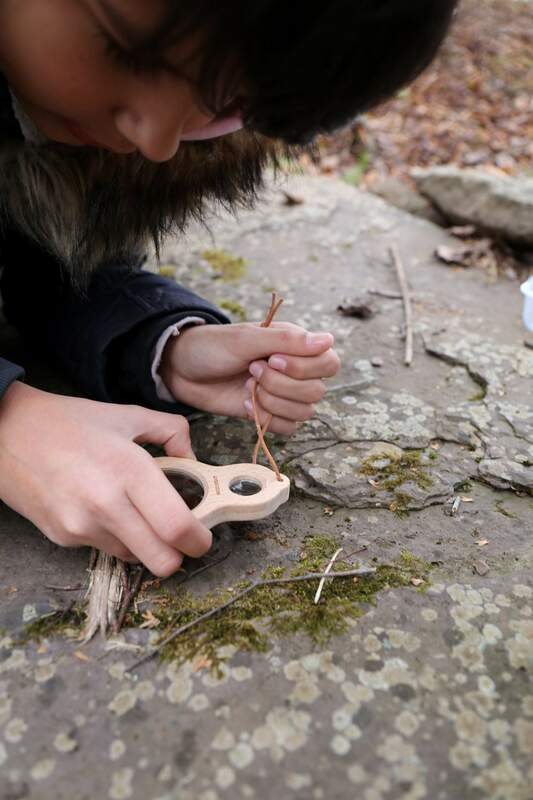 Use them to join twigs and branches, and make shapes, forts or even animal habitats. Got a kid crazy for butterflies? Insect Lore will send them a cupful of five baby caterpillars, food, a chrysalis station to watch the unfolding drama, and a pop-up mesh habitat for the big finale. There are larger kits and refills of everything available. No butterfly fans? There are similar kits for ladybugs and ants. Fat Brain Toys has Adventure Station’s Be Prepared Exploration Station, which teaches kids about knot tying, animal tracking and navigation. 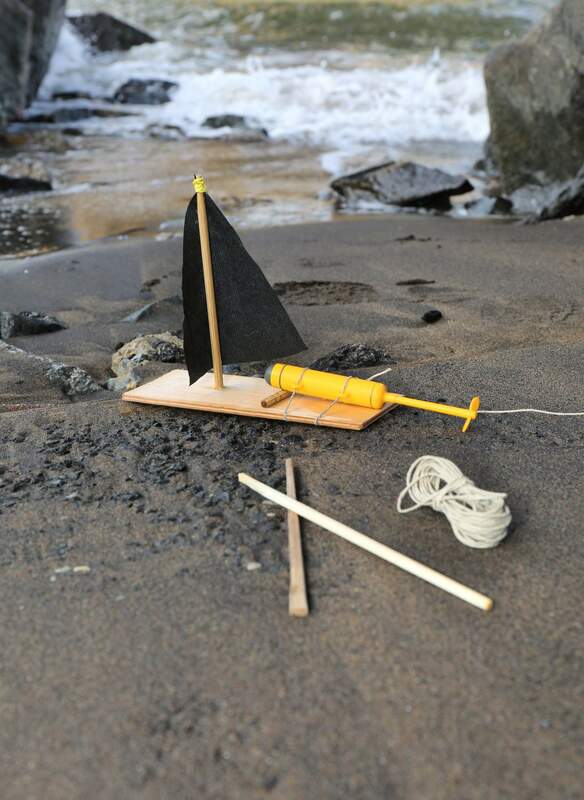 Rope, string, a compass and a comprehensive guide are included, as well as plaster mix for molding tracks. Also at the retailer: rugged flashlights, binoculars, periscopes, and solar lanterns for both day and night exploration. Finally, to keep the lines of communication open among your outdoor explorers, consider Hearthsong’s set of traditional walkie talkies with a 250-foot range; you can converse on them, or practice your Morse code skills. Or for something with a nod to higher tech, there’s a digital wrist set that comes with earbuds and has a range of over 320 feet.